I dressed in red, white, and blue all week. B wore his red, white, and blue all week, too. His shirt and belt are Collared Greens, which is made in the USA. As they say, #alldayusa. 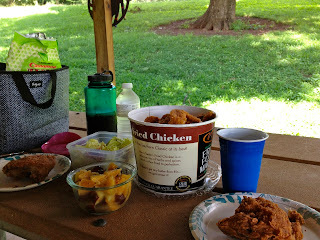 It also went well with our picnic, because then we had sweet tea, fried chicken, and collar[e]d greens. 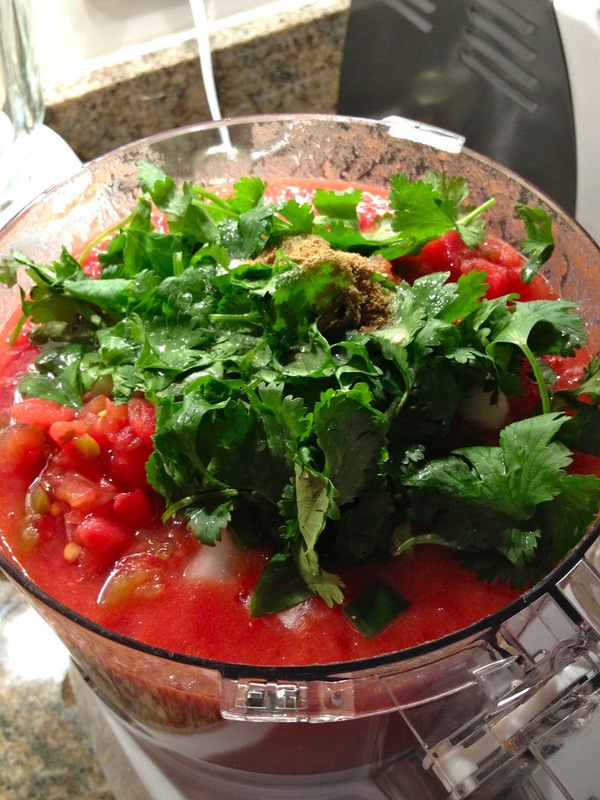 Earlier this week, I made Pioneer Woman's restaurant style salsa. It was delicious, and it made a big bowl, so I took it to a 4th of July party. If you go to Mexican restaurants and eat a ridiculous amount of chips and salsa, make this recipe. Then plan to take it somewhere because you will want to eat it all, and it's a lot! 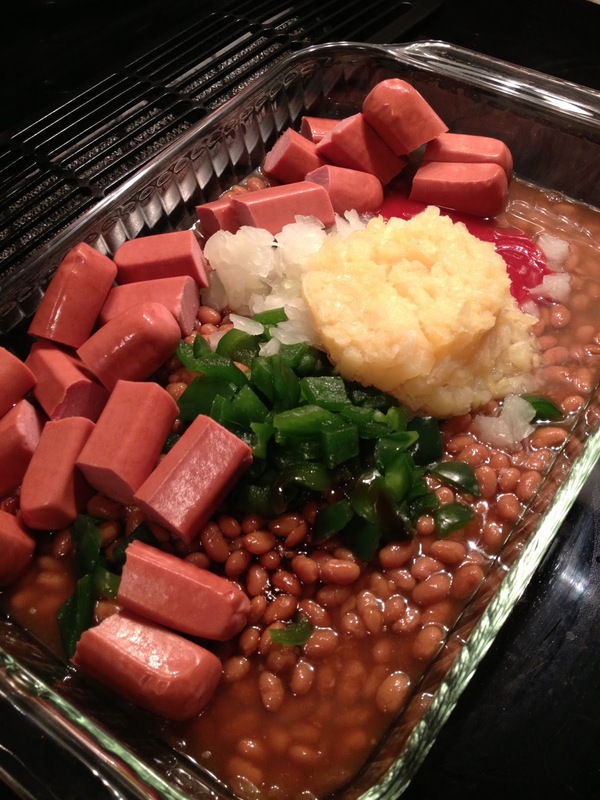 I cooked baked beans (+hot dogs) for the party. This was definitely a hand me down recipe; my mom throws in everything when making baked beans. I hesitate to tell people what I put in them and also to try them myself, but they always turn out well. I wanted to make something in festive colors, so I went with another of my mom's favorites: Rice Krispie treats. I prepared one batch, divided it into three greased pans, and then mixed in food coloring. 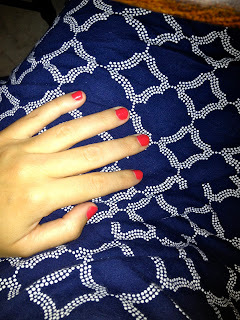 After our picnic, we got ready for the party at some friends' house. We enjoyed the party and ate way too much, but the food was fabulous! I loved seeing my friends' house that they recently moved in to; it is beautiful and great for that type of gathering. We ended up at B's friend's house in North Ridge for a while and walked out onto the fairway to watch the club's fireworks. The grand finale was awesome. Then we made a quick move downtown to see the second fireworks show. We had a great view from Dix hill. It was a lot of fireworks! I hope everyone had a wonderful Independence Day. I like to take time each holiday to remind myself what we are really celebrating, and I found this article interesting for some historic facts. It prepared me well for B's pop quiz; he has a public history degree and likes to quiz me. I also have a renewed appreciation for our country following my recent travels. 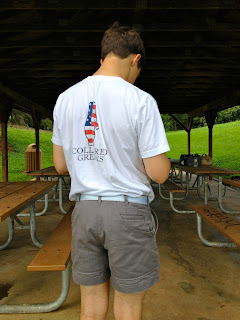 I thank God that I was born in a free country, that I was raised knowing about Jesus, that I can pray and read my Bible in public, that I know I will have clean water and plenty of food each day, and that I have good medical care. We are blessed!